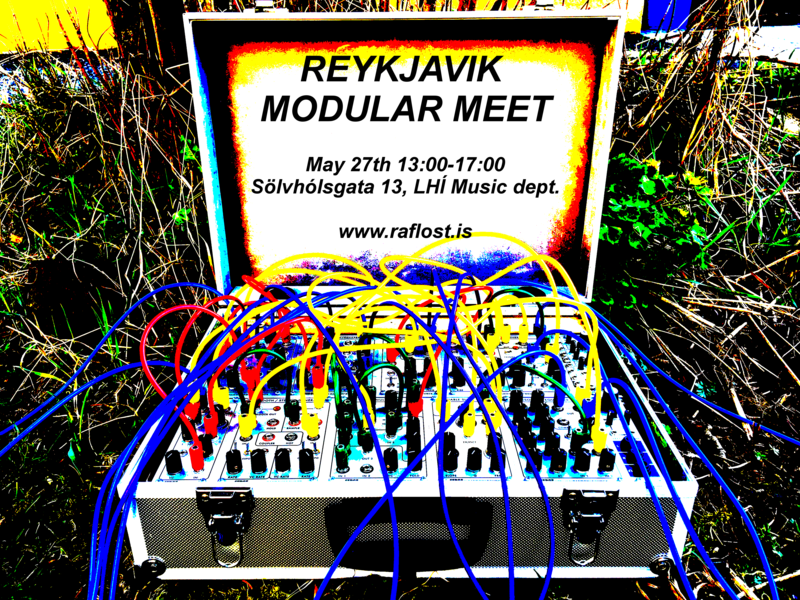 This year’s Raflost Festival will be hosting a modular meet Saturday May 27th 13:00-17:00. Do you have a modular synthesizer or are you interested in modular synthesizers and sound synthesis, and electronic music creation in general? 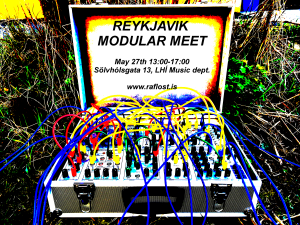 Bring your modular, semi-modular, video synth or DIY creation and patch with other modular synthesizer enthusiasts (bring your own little monitor setup and power). There’ll also be opportunity to talk about patching techniques, synthesis techniques, building a modular synth, analog, digital, DIY modules and more. There’ll also be opportunity to do short performances (Stereo PA and video projector in house). The event will take place at the IAA Music dept. Concert Hall “Sölvhóll” (large gray barrack on the corner of Klapparstígur and Skúlagata). Free entrance.